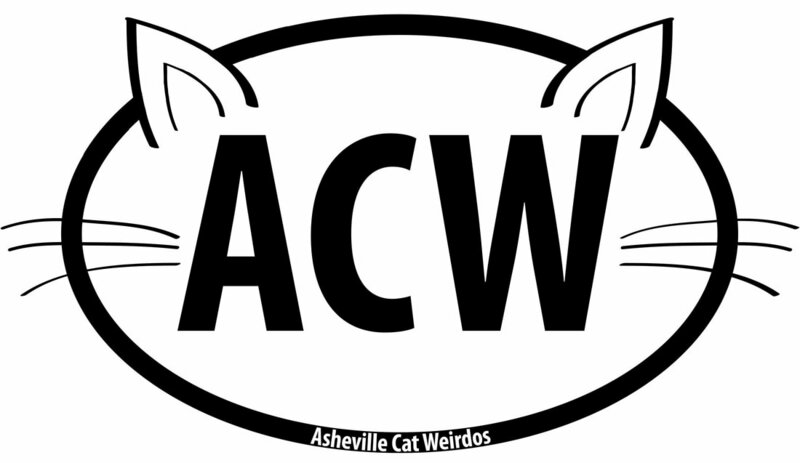 We're thrilled to announce Asheville Cat Weirdos as this year's raffle charity! All proceeds from our popular raffle baskets will be donated to this wonderful local organization. For more information about what the ACW do HERE and HERE. Applications are finally open for the 7th annual Geektastic show! This year's show will feature headlining performers Purrrl Van Dammit, a North Carolina burlesque legend, and Asheville's own Rebel Belle! The 2019 show will be hosted by Asheville hero Toybox Theatre and also feature performances by Silver Kitsune and the Asheville Burlesque Pageant reigning Royal "High"ness, Ariel Allegro! Show date is August 9th and will be once again staged at the Grey Eagle. Applications are open until May 3rd and, as always, there is NO FEE to apply. For more information and the link to the application, click on the Application tab. The 2018 show applications have closed. Thank you so much to everyone who applied. Notifications will go out beginning June 5, 2018. Follow us on Instagram for performer announcements along with our sponsor spotlights! A big thank you to Canine Shear Heaven for the generous donation to this year's raffle basket. All proceeds from the raffle benefit the Asheville Humane Society and we appreciate the support of these superheroes! For more information on how YOU can join our League of Extraordinary Sponsors, contact us at geektasticburlesque@gmail.com! We are thrilled to announce we have partnered with Asheville Humane Society this year to help raise funds and awareness for their mission in our community. Asheville Humane has been Buncombe County’s critical safety net since 1984 and has expanded its mission to include a variety of programs that help animals and people thrive together. As animals lovers ourselves, we are so excited to support this incredible organization through our raffle basket proceeds. If you would like to donate to this year's Geektastic raffle basket or for more information, contact us at geektasticburlesque@gmail.com. Applications for the 2018 show are now open. We are looking for your best and geekiest comic, television, film, game, or animation inspired acts. You may submit up to two acts per application, but please fill out a separate application for duets or group acts. The deadline for submission is May 21, 2018, so take your time and do it right! Applications for the 2017 show are now open. We are looking for your best and geekiest comic, television, film, game, or animation inspired acts. You may submit up to two acts per application, but please fill out a separate application for duets or group acts. The deadline for submission is May 21, 2017, so take your time and do it right! We have two exciting announcements to kick off the new year! First, we're happy to announce the 2017 show is scheduled for August 11th as part of Burlesque Burlesque Burlesque - a brand new three day burlesque extravaganza! Pop on over to their website for the full details. Applications for Geektastic open February 1st. Second, we're thrilled to have the fabulous Franki Markstone as this year's headlining act! Happy New Year! Franki Markstone has been a driving force in Florida's Burlesque revival since 2003. Boasting an impressive and extensive list cast and troupes she works with, she has made it a personal goal to constantly evolve her art, and bring as many facets to her own form as possible. Known specifically her love of all things nerdy, geeky and freaky, Franki's signature acts are a constant revolving door of fandom. Ranging from the worlds of Harry Potter and Middle Earth, to DC/marvel and Death Note. She always has something new in the works, and we can't wait to see what she's bringing with her this time! The 2016 show is in the can! Thank you to Dangrrr Doll and all our wonderful performers, our staff, and to our fabulous, nerdy audience for braving the heat and giving this show 100%. You guys rocked! Stay tuned for photos and video. And we'll see you next year! The submissions have been reviewed and the choices made for the 2016 show and what a kickass lineup it is! Stay tuned to this very blog for all the performer announcements. We can hardly wait for you to see this cast of nerds! Sponsorship and vending opportunities are still available. Do you want to sponsor Asheville's biggest nerdlesque show of the year? The answer is yes! Contact us at geektasticburlesque@gmail.com for more information. Advance and VIP tickets are now available. Click the TICKETS link up there in the corner and you can make your ticket dreams happen. VIP tickets are limited, so get 'em while you can. April LeQueen is the naughty sovereign of the south and HMIFC of Geektastic.